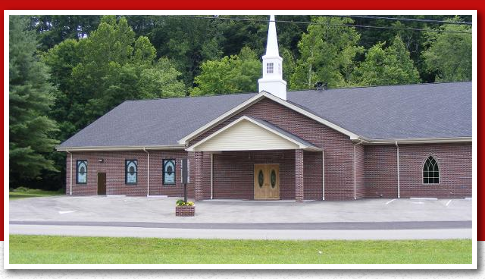 Join the faith and fellowship of worship services and Sunday school classes found at our Baptist church in Big Stone Gap, VA. Cedar Ridge Freewill Baptist Church was formerly known as Durham's Chapel before being rededicated in May of 2008. Our Big Stone Gap church welcomes peoples, regardless of class, color, or creed, to join us for worship. Cedar Ridge Freewill Baptist Church's Sunday school classes will go more in depth into the bible passages we read. We provide questions and answers of what has been covered and how it relates to the events in the world today. Cedar Ridge Freewill Baptist Church holds Youth Group at 5 p.m. on Sundays where the young members of our church can gather. We offer a variety of activities from arts and crafts to music and lessons geared towards your development. Our Baptist church plans various trips for our youth groups–please check back for events or contact us. 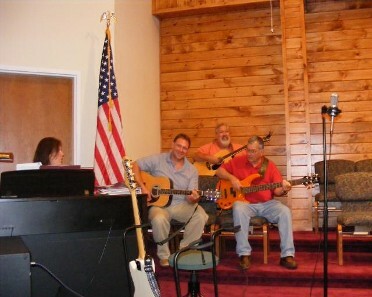 Cedar Ridge Freewill Baptist Church has choir practice on Sunday's at 5:15 p.m. We practice in order to perform at community singing events, as well as our own worship services. Our schedule is coming soon, so check back regularly. Our Wednesday services starts at 7 p.m. This is our prayer meeting and bible class to review different parts of the bible for study. Cedar Ridge Freewill Baptist Church offers prayer requests, choir performances on occasion, and we also have our Pastor join us to read passages from the Bible. Call our Baptist church in Big Stone Gap, Virginia, at (276) 523-0885 to ask about our youth group and Sunday school classes.